At a utopist CA Plex site there would have been a perfect OO approach and finely tuned inheritance but understandably in reality most CA Plex sites have had a varied history using the tool. Development and maintenance therefore involves careful picking through the model, searching for impact and trying not to reinvent the wheel which is hoped these tools can help speed up the process and reduce the amount of duplication in time spent and number of objects. Export Large Properties Export model large properties as text files where they can be utilized for source control and impact analysis. Twice as fast as 'Full Action Diagram Export' ! And not restricted to just action diagrams.. Export Selected Large Property Export a selected object's large property as a text file. Implemented Objects Query what DLLs are in a windows directory or Objects in an AS400 Library, once this is known a comparison is made with what currently exists in your current local model. ObjectBrowser+ Create your own object browser! Driven mad trying to remove local modifications from a panel while trying to understand a particular panel elements runtime behavior. See Edit Large Property to view a panels large property. These tools can only be run against CA Plex r6.1 (Tested with r6.1 Build 43.35) or later. The Model API will fail if it is run against earlier releases of CA Plex and if run against earlier BUILDS as there were quite a few Model API bugs which will crash the apps. There is genuine regret with not incorporating model api Version 2.0 to allow earlier CA Plex releases to use these tools but thankfully looks like the majority of us have upgraded. 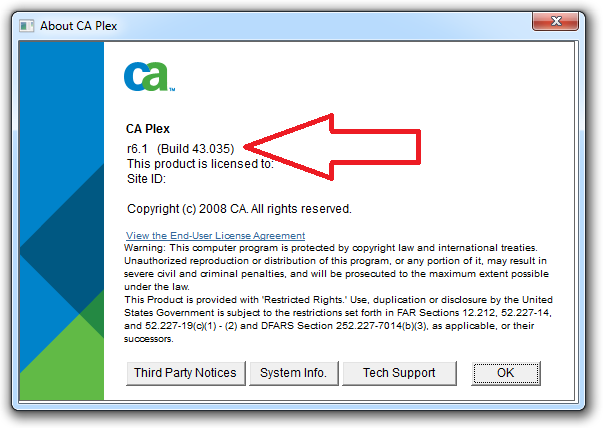 A typical installation of CA Plex includes the necessary components but for 5250 sites Unlicensed ActiveX controls such as comctl32.ocx, comdlg32.ocx, Mscal.ocx are used by the CA Plex pattern libraries. These ActiveX controls are not shipped with operating systems such as Windows Vista and Windows Server 2008. 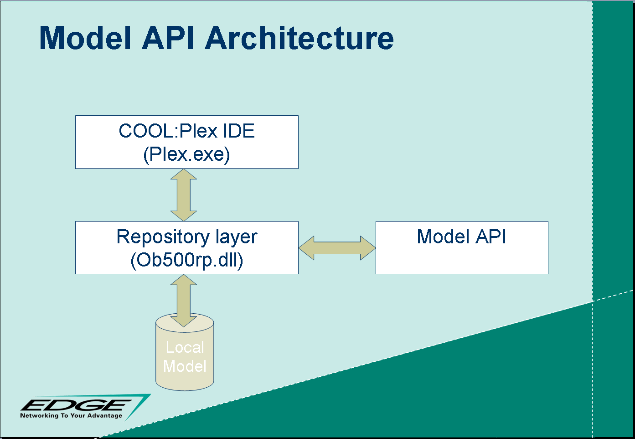 If multiple instances of CA Plex are open, each with a local model, the Model API methods can only work against the first instance and therefore not necessarily the one from which the application was launched. If in the unlikely event… of an application error occurs (API is called with an invalid pointer or is used to attempt an invalid operation) then CA Plex will throw an exception. CA Plex should be exited and Task Manager used to ensure that the CA Plex process is shutdown, before restarting CA Plex and reloading the model. These tools have been used by developers authorized to all verb groups but as you still have read-only access to the verbs if unauthorized, the tools should work. CA have worked hard since release 5.0 to improve the performance. Secondly as other sites have found the use of internals have surprisingly quick performance and so this architecture was used in developing the tools. CA Plex was used to develop the tools, and no doubt using native .NET would have resulted in a quicker application but fortunately I use CA Plex because I don’t want to know other languages ;) if CA Plex generates them for me. will still use some of the CA Plex IDE installation objects. product or not - that's going to depend on where a bug actually resides. For example, the fix for this issue is in the Plex tool repository engine. in your install directory and have the Plex.exe load that version. Stella Tools has been coded badly pre this build just that it relies on the stability of the model api provided by CA. Request Created "Export Large Property of Selected Object" A Object/Dependency browser integrated Addin that allows the developer to select object(s) and export the objects large property to file.